The 2016 Jeep Compass comes with now- standard equipment including Uconnect hands-free, SiriusXM Radio with one-year subscription, and automatic headlamps. 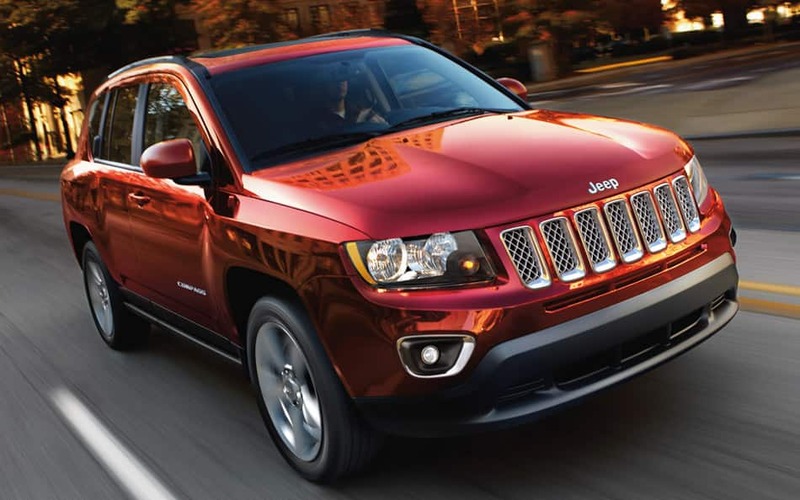 Features that now come available to the Jeep Compass includes a four-wheel drive system. The Jeep Freedom II 4x4 Off-road package delivers the Jeep Trail Rated capability for you and your Jeep. A second-generation continously variable trans-axle with low range that engages when the off-road mode is activated, one-inch raised road height, 17-inch all-terrain tires, aluminum wheels, a full-size spare tire, skid plates, tow hooks, fog lamps, and manual seat height adjuster. The 2016 Jeep Compass is available with many features from you to choose from in order to craft your Jeep Compass to exactly what you need it to be. These features include a2.4-liter I-4 World Gas Engine which produces up to 172 horsepower and165 lb-ft of torque, a six-speed Powertech automatic transmission,and Freedom Drive I and Freedom Drive II four-wheel drive systems.The available Sports SE package includes a leather-wrapped steering wheel with audio controls to ensure your safety, heated cloth mesh seat, Mineral Gray grill rings, 18-inch Mineral Gray aluminum wheels, fog lamp bezels, rear fascia, roof rails, lift gate brow, and a Sports SE badge. The High Altitude package comes available to the 4x4 models with Powertech automatic transmission, leather seating, power sunroof, automatic headlamps, power six-way driver seat, and 18-inch chrome, aluminum wheels. 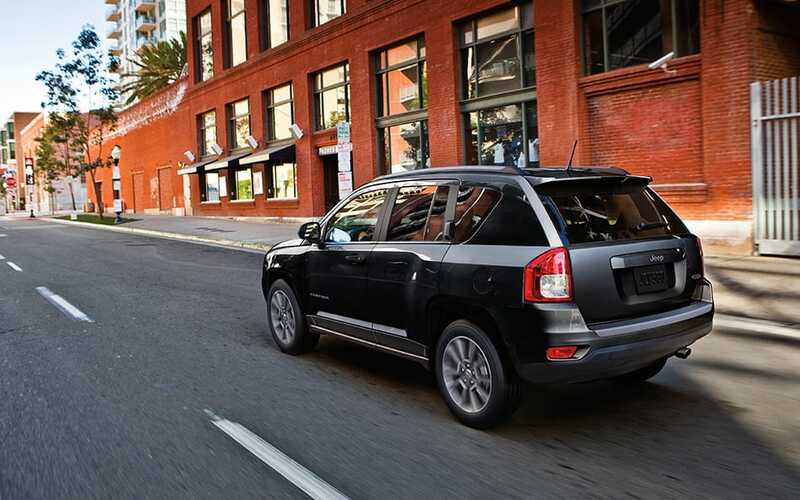 Available with many optional features,the 2016 Jeep Compass can virtually be what you want it to be. These optional features include Uconnect Media Center with Ipod interface,navigation with SiriusXM Travel Link, Boston Acoustic speakers,illuminated cup holders, and fold flat rear seats. The Jeep Compass also offers up an All-weather Capability Group option that includes Goodyear 17-inch All-terrain tires, daytime running headlamps, engine block heater, tow hooks, and all season floor mats. 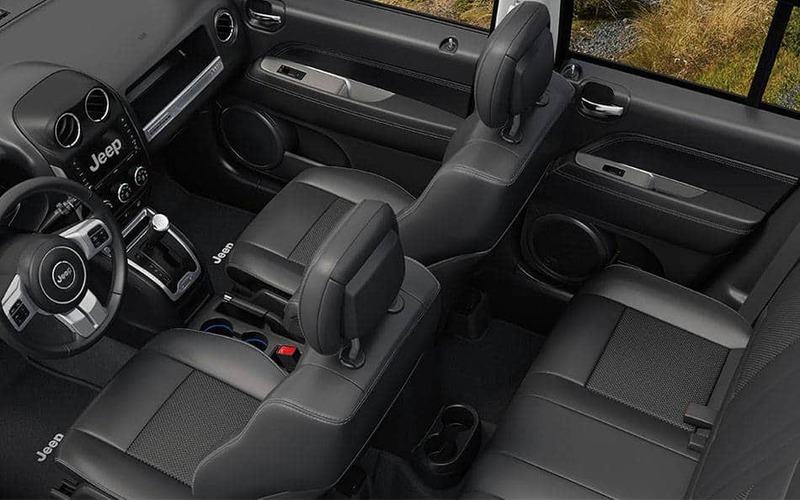 The technological capabilities of the 2016 Jeep Compass includes the Uconnect Media Center 430 AM/FM/CD/DVD, automatic temperature control, Security and Cargo Convenience, and Premium Sound Group accompanied with nine speaker audio system with lift-gate speakers. Utilizing a sophisticated airbag technology, the 2016 Jeep Compass has an energy-absorbing design to keep you safe and protected. An energy absorbing feature has been engineered a the crush zones located at the front of your Jeep, allows for energy to transfer from the passengers of your vehicle in the event of a collision. The transference of energy allows for passengers and yourself to not be as effected by the stress of impact. The Electronic Stability Control feature senses over steering or under steering and then automatically applies your breaks and throttle to put you back on track.